SCCA went and got fancy. 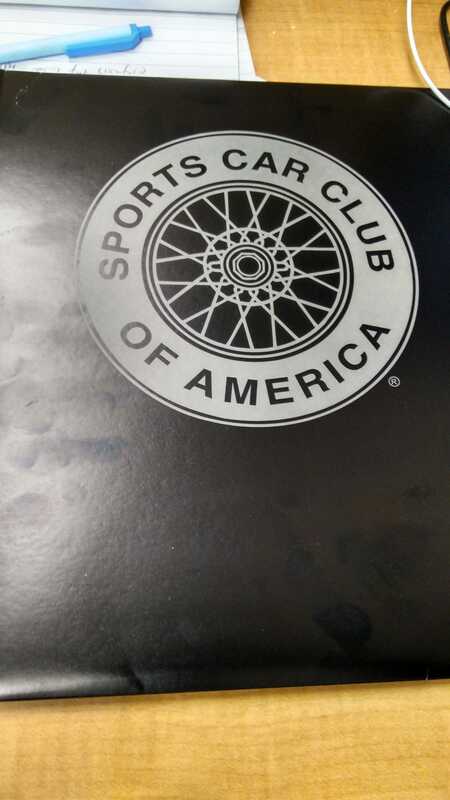 After letting my membership lapse a few years ago, I rejoined SCCA, and they sent me this fancy packet. They didn’t do this when I first joined in 98. I hope too much of the increased membership rates wasn’t spent on this, but it does look nice. If you send them picture, they even print it on your ID card. Back when I stopped racing, we all still had to cut out a passport sized photo and laminate it to our ID card/license to meet the photo ID worn rule at races. By calling and rejoining in person I was able to reclaim my old member number. Having had it for more than half my life, it is one of the few numbers I actually still have memorized any more. I’ve got a physical scheduled for a few weeks so I’ll have a current one on file for SCCA. Speaking of my license, one of the bigger things left to do for getting back on track next year is chatting with our long time divisional licensing chairman and seeing what he’ll make me do to get a current competition license again. Here’s to hoping he uses his magic pen to waive me back to a license, or at least past requiring driver’s school. It would actually be kind of cool to race on a novice permit again and dive bomb past the folks who don’t know me in braking zones with giant X’s on the side of the car.